Just ordered the lush Models Own nail polish - shade bubblegum. Don't worry I didn't break my spending ban I used my £5 store credit. I can't wait for my spending ban to end. Before my holiday (or after due to funds) I'll be buying a few of the items from my wish list. I thought while I have the store credit I'll pick up the bubble gum as I want my nails that colour next time I get my falsies put on. I love Motel Rocks more and more each time I go on their website. It is a motivation to get down to a size 14 so I can buy their clothes and not just their accessories/shoes. I love the fact Motel Rocks gives you the option to give to charity too. I didn't this time but I will when I'm not using store credit. I don't think I've seen other sites allow you to give to charity at the checkout out! Well done MR! You can view MY wish list by clicking here. 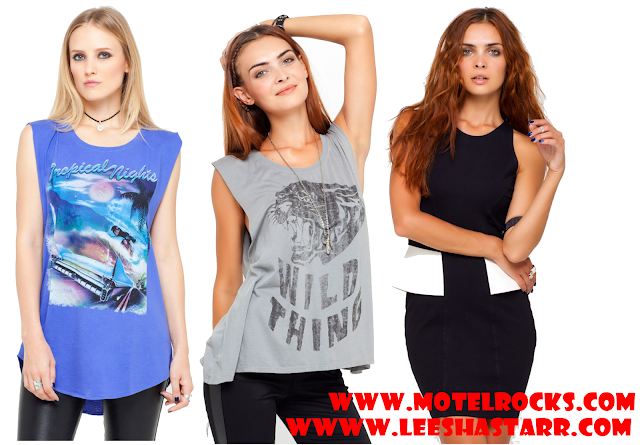 Motel Rocks have some beautiful dresses so make sure you check them out.